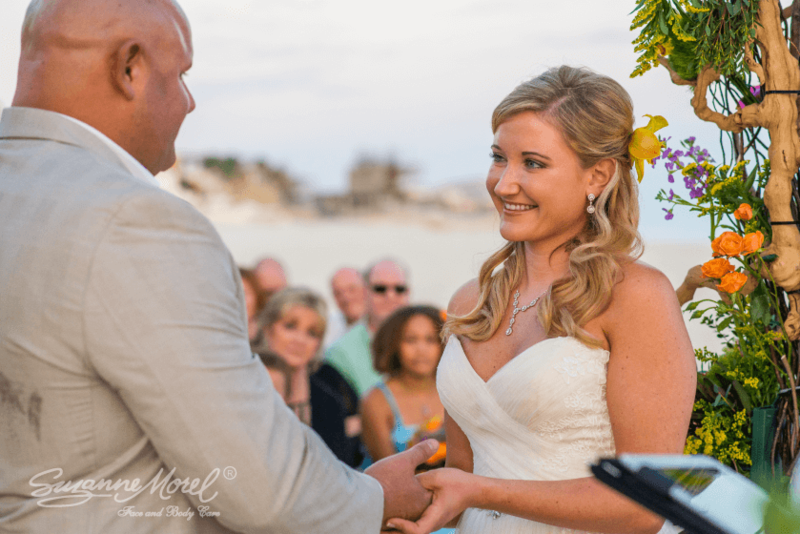 When it comes to hair and make-up, a beach bride can never go wrong with loose, flowing hair and a natural face. So it should be no surprise boho chic is our pick for the best new bridal trend in 2016! 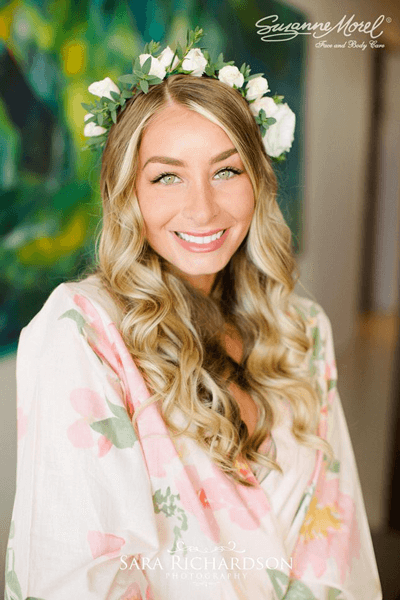 The experienced bridal stylists at Suzanne Morel Face and Body Care can help you pull off this effortless look with a floral crown to match your bouquet or simply a single fresh bloom worn behind the ear. Half-up-half-down dos are a perfect way to wear the boho chic trend on your wedding day. You can even add a hair piece on one side to give your wedding hair a unique twist that’s all your own. 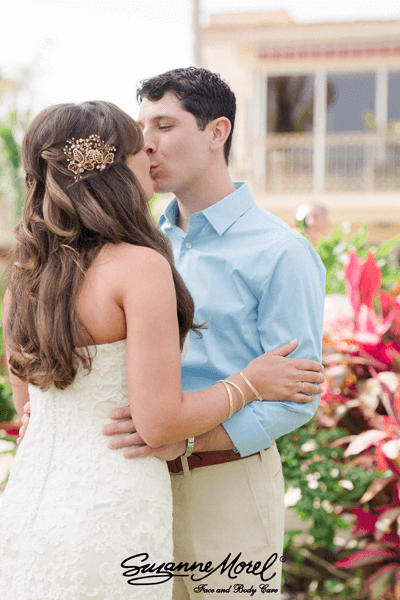 Our expert bridal stylists will complete your beachy bohemian look with a fresh, dewy face and matching natural lip. This is one bridal trend we hope will remain popular for years to come—it’s a flawless wedding look for any and every beach bride! Visit our new website today for bridal hair and make-up packages and pricing information. 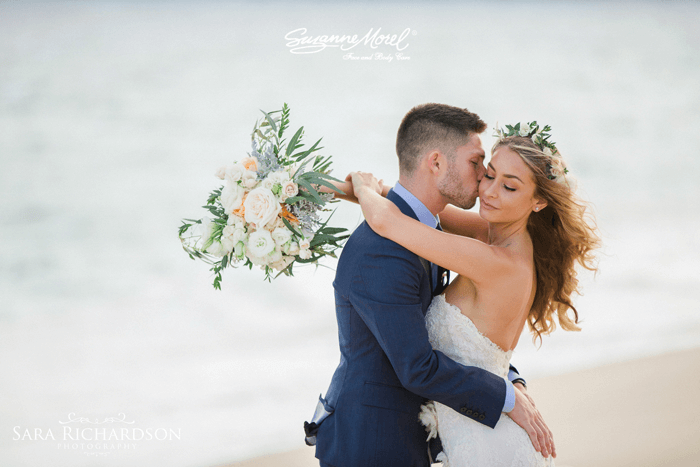 Our English-speaking spa concierges are waiting to answer any questions you might have, so call us anytime to book your professional Cabo bridal hair and make-up services! This entry was posted in Cabo Bridal Hair and Makeup and tagged 2016 wedding trends, beach bridal hair and makeup, beach bridal style, beach wedding, Boho Chic Bride, Boho Chic Wedding, bridal beauty trends, Cabo bridal salon, Cabo bride, Cabo wedding, destination wedding, hairstyles for a beach wedding, makeup for a beach wedding, Mexico wedding, natural wedding makeup.